A favorite shot of mine! This is back when you had to hike Imperial Bowl. 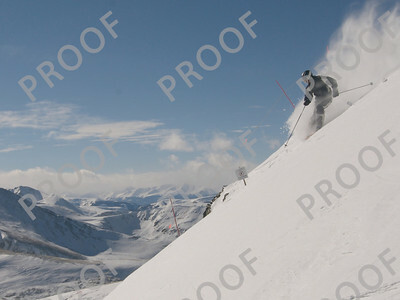 This was taken near the top of Imperial Bowl looking towards the south end of the Lake Chutes. 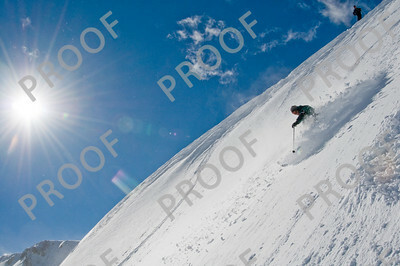 This won second place in The Great Divide Guide photo contest. 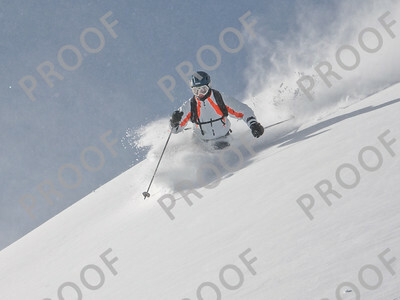 One of my all-time favorite shots (Todd on Peak 7). 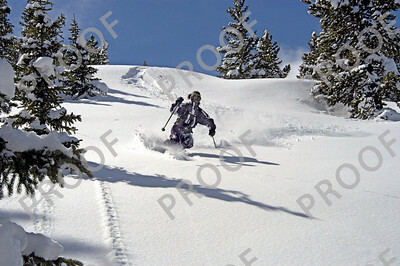 We had just the three sets of tracks on the right up top and it was fantastic with the great steep pitch of Art's Bowl and powder. 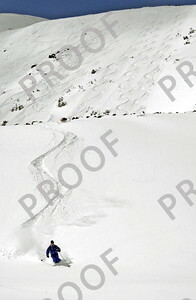 These are bonus turns on a small face down below. 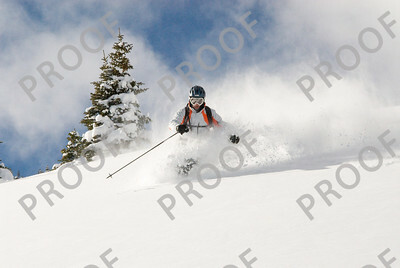 This won second place in The Great Divide Guide photo contest. Chair 6 and solitary tracks on Peak 8 as seen from Peak 9. 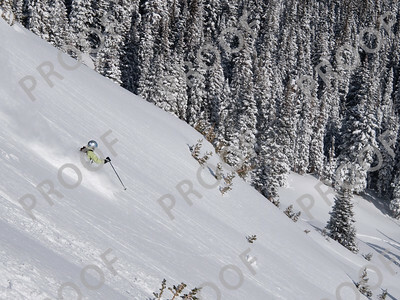 This was before Peak 8 was open. 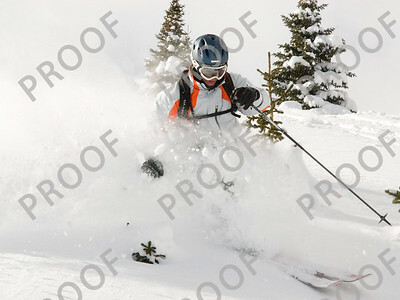 I hiked it, skied it, and then shot it. This is my sister-in-law, Rhonda. 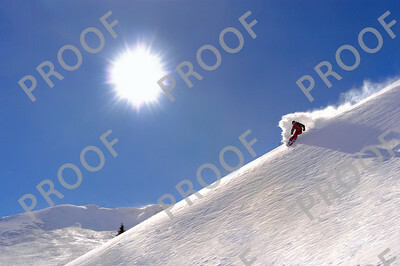 This was a very special day out on Peak 7 with deep deep snow and good enough lighting. 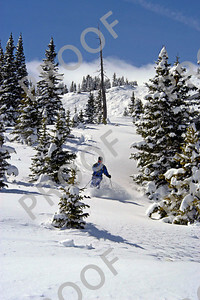 This photo was published in the Summit Daily news who called it a perfect Summit County postcard. 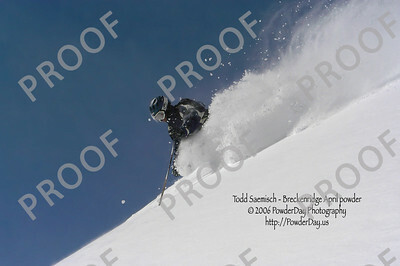 Brother Todd gives new definition to the term "deep" on a very special day in Art's Bowl on Peak 7. 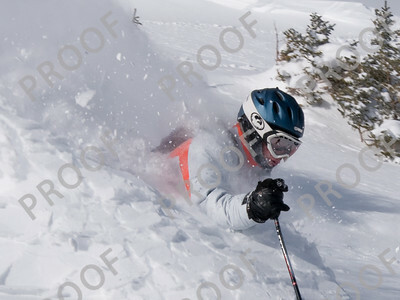 All I will tell you is that this is on Peak 7. Imagine you are new snowflake born in the heavens and beginning your journey to Earth. What a beautiful snowflake you are! You wonder if you will grace a beautiful tree on a mountain, or maybe a church. La-di-da-di-da, and then ... KA-BLAMO!! The snowflake smasher here is brother Todd on Snow White. Below Contest Bowl, Peak 8. 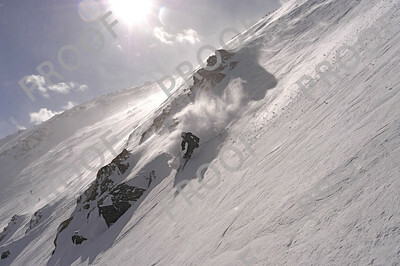 A perfect sunny but flippin cold day in the Chair 6 back bowls. 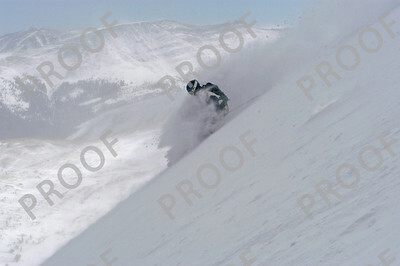 Todd Saemisch getting some secret Breckenridge powder, December 10th, 2007. 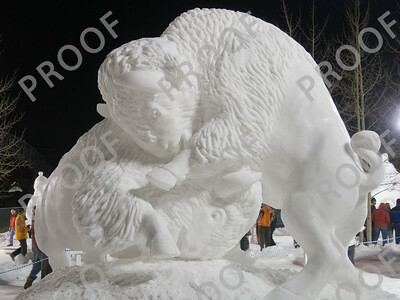 The annual snow sculpture contest in Breck produces some amazing work. Go buffs! 2005 Breck Powder 8's. We took 4th. 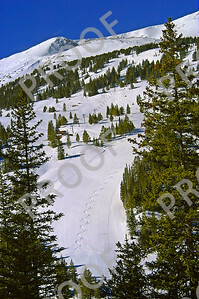 Our tracks are the second to the left of the hiking path, looking up. For 25 years, Breckenridge hosted a figure 8 contest in which brothers Mike and Todd participated and did well in many contests. 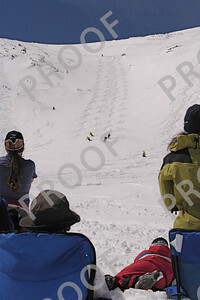 They even got to ride a helicopter to the top of Imperial Bowls for the finals when they were held there! (twice). 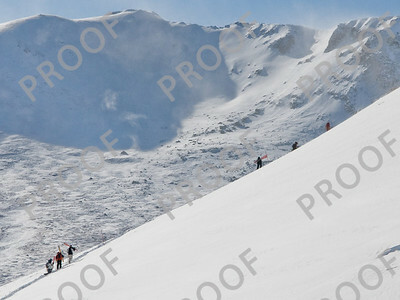 Here the finalists are going ski-to-ski on Peak 7 down Y-Chute. 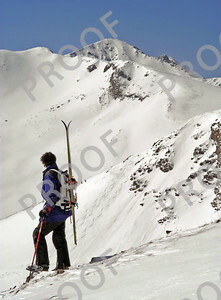 This shot was used in a subsequent poster for the contest. 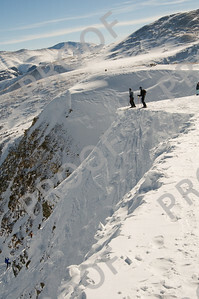 Standing atop the Lake Chutes. Sun on Snow White, the newest terrain at Breck. Peak 9 in the distance. 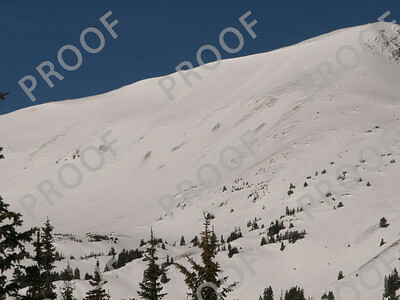 The new Snow White area of Breckenridge, the day before it opened for the first time ever. 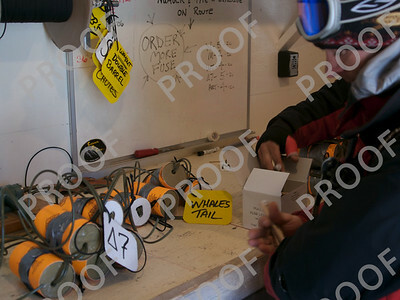 Preparing to do a little control work on Peak 8. 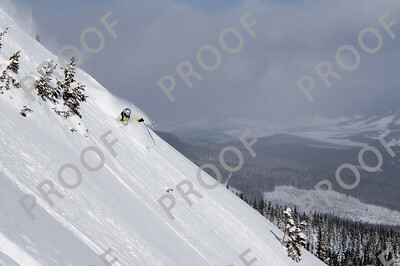 Descending off the summit on Peak 8. 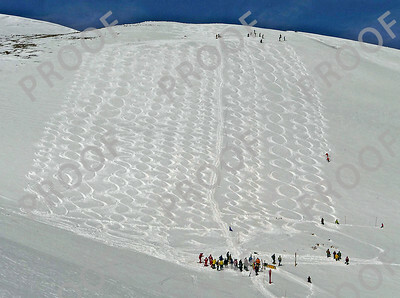 Breck's front bowls often get nicely buffed by the wind. Steep and smooooth - a unique Breck experience!